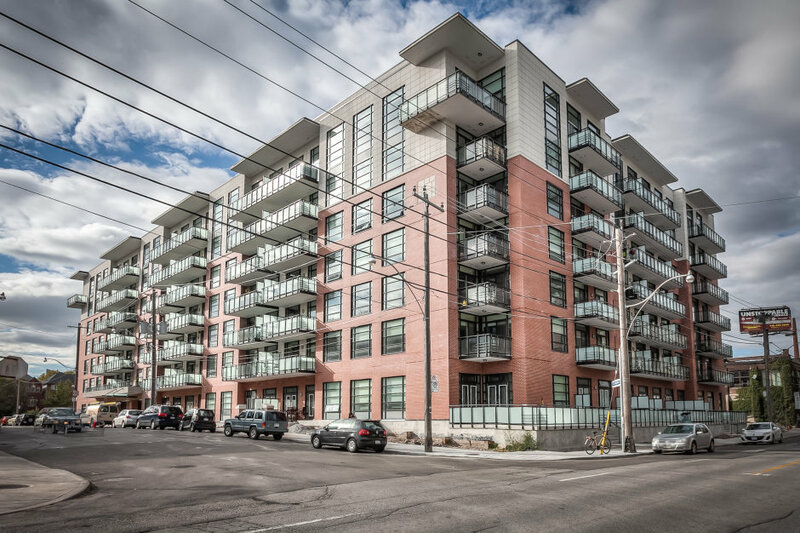 Superbly crafted by Aragon Properties, the Showcase condo building was designed with quality and timeless design in mind. From the full brick exterior, to the interior brick details in the hallway and suites, the enduring appeal design will withstand the test of time. This stunning penthouse suite faces the quiet Colgate Ave., where it not only enjoys the bright sunshine throughout the day, but also a very private view line with trees. 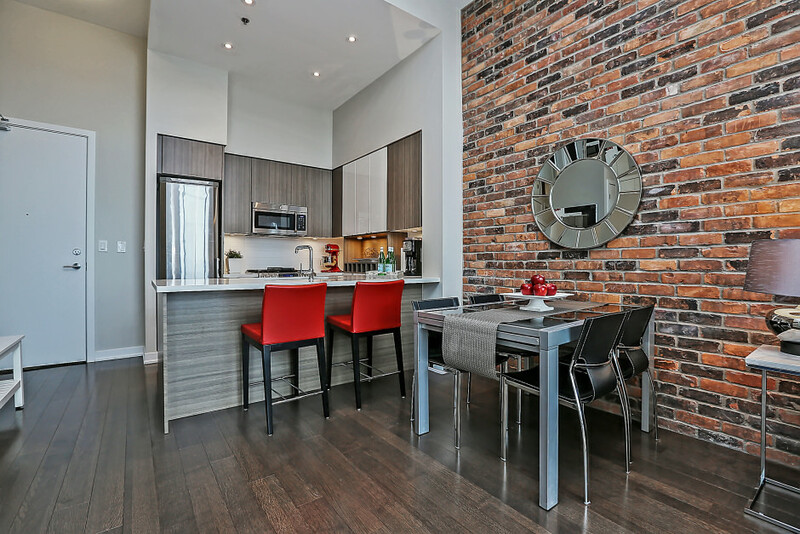 12 ft high ceilings graces the entire suite, a living room skylight provides lots of natural light, the reclaimed brick feature wall sets the warm tone of the loft. Master bedroom enjoys the lavish ensuite, with upgrade double sink vanity and a linen closet. The contemporary chef's kitchen boasts GE cafe stainless steel appliances, 4 burner gas stove, wine racks, under cabinet puck lighting and Quartz (Ceaserstone) coutertops. The loft is finished with many more upgrades including a multi-functional 2nd bedroom, where a wall was removed to fit panels of glass sliding doors. Not only does it offer an extension of living space when it's opened up, it also provides privacy and a division between the bedroom and living space when the sliders are closed. Moreover, every closet space is finished with closet organizers to provide storage space, and every window was styled with custom made window blinds. Outside, you can enjoy the south facing terrace, and the beautiful view through double walkouts from the suite. Terrific building amenities including a 1500 sq ft gym with yoga/pilates area, billiard/party room, guest suite, theatre, BBQ station, courtyard and visitor parking. 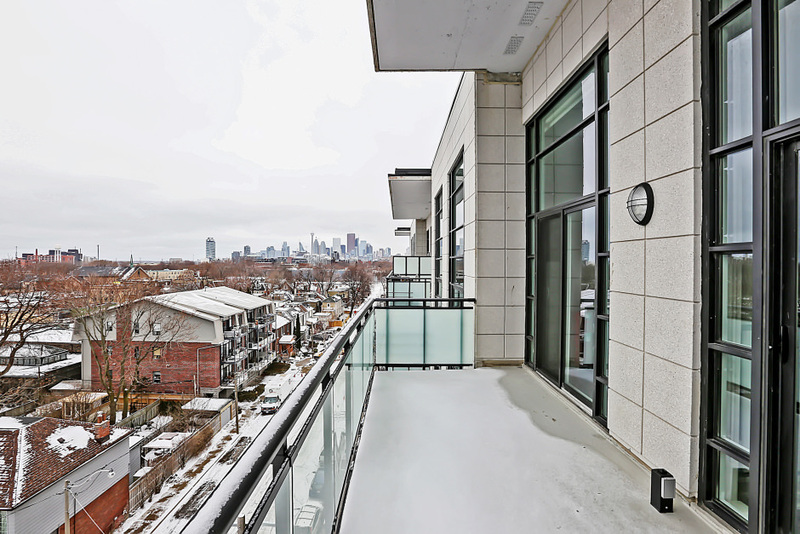 Prime location in Leslieville with quick access to highways (Gardiner/DVP/QEW/Bayview extension), TTC (Queen Streetcar/Bus), bakery, coffee shops (Mercury/Starbucks/CoffeeRoaster), restaurants, shops, and grocery stores (Nofrill/Loblaw)!! Under 30 minutes streetcar ride to Queen and Yonge!